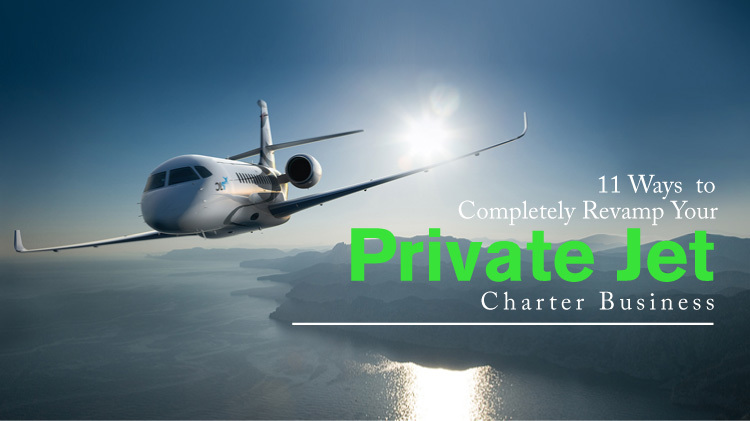 Like any other business endeavor, a private jet business is often served well by an occasional revamp to its identity or operations. Whether you feel that your business has fallen into a rut, or simply looking for new ways to stay ahead of the competition, some well thought-out changes can yield significant results. Here we look at a few changes you can make to keep your business a cut above the rest. Nowadays, anything perceived as obsolete, or even just a few years behind the current tech trends, risks losing out on marketing appeal. Consider all the technological aspects of your business – from the jets themselves, down to your company’s app and website – and see if anything needs an upgrade. It never hurts to draw some ideas from the competition and modify them. Alternatively, look at what everyone else is doing, both regarding branding and operations, and use that information to separate your business from the pack. Get customers to fill out a short questionnaire that gives them room to anonymously express their likes, dislikes, and areas they feel need improvements. Your customers’ first-hand experience of your services will give you give you a heads-up on potential issues that you may not even have realized, as well as clue you in on possible selling points that you can use to your advantage. Of course, nothing says “revamp” as much as acquiring brand new top-notch jets to your fleet. Make sure to leverage the new aircraft by showing it off in your social media and other marketing avenues. Also, explore new methods of advertising. Along with a revitalized brand, this will open up your business to markets and audiences you might not have tapped previously. Nowadays a lackluster social media presence, especially for a business related to technology, is simply inexcusable. Make sure you have an active, professional, and likable presence for your business. Create a brand identity manual so that all your social media posts are cohesive in terms of visuals and language. Your marketing efforts will be wasted if your website looks even a few years old. Make sure your website measures up to current web and design trends, as well as to standards for UI, screen compatibility, and load times. You can send your staff for training on new ways to help them be more efficient at their jobs. This could be a simple training course or a certification program. Consider employing new marketing or creative staff with fresh ideas, or additional crew to facilitate your operations if necessary. Consider that it might be time to make changes to your brand identity. Work closely with an agency or individual professionals to find out if your company would be better served by different colors, a different tone of language in your advertising, or even a new logo. For a lot of people, the in-flight food is an important factor in how they rate their flight so your menu can be an excellent selling point. Come up with a scrumptious, healthy menu with your chef, and have a professional photographer produce appetizing images of the dishes for use on your social media posts.